​Each of the 61 room and suite accommodation at Hotel Atitlán Hotel & Gardens features a private balcony overlooking Lake Atitlán or the hotel’s tranquil grounds. In the morning, begin the day with the sights and sounds of the exotic birds and fluttering butterflies visiting the carefully cultivated botanical gardens teeming with roses, orchids, bougainvillea and azaleas. Rooms and suites overlook the hotel’s lush grounds from balconies, with lake views and fireplaces in select rooms. 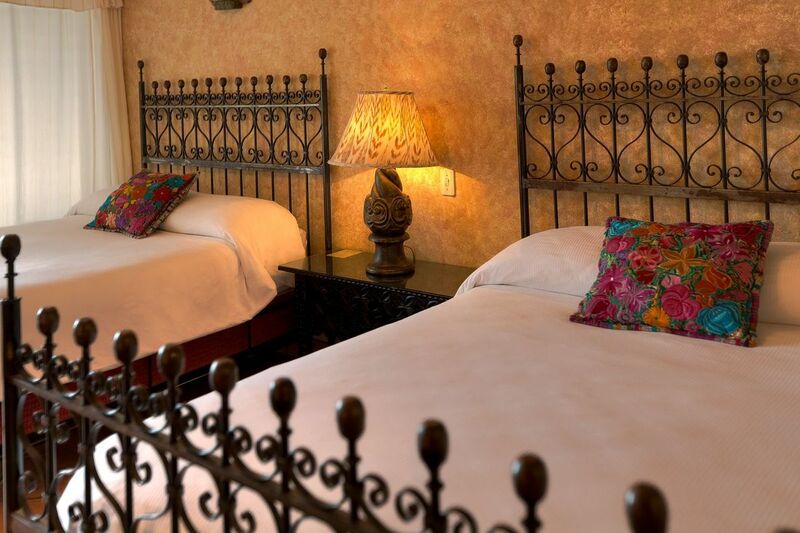 Each accommodation has been individually decorated with hand-woven fabrics and bedding, artisan-crafted furniture and authentic artwork from local Guatemalan villages. Floors are made from traditional tile and covered with beautifully hand-woven area rugs. Modern conveniences include complimentary Wi-Fi Internet, cable television and spa-style baths with plush towels and deluxe bath products. This room offers all of our regular services, but with a high expectation for comfort, relaxation and especially the wonderful view that only Hotel Atitlán offers. This room comes with one king size bed featuring high quality sheets, pillows, blankets and hypoallergenic down comforters. This room offers all of our regular services, but with a high expectation for comfort and relaxation with the wonderful views that only Hotel Atitlán offers. This room comes with two full-size beds featuring high quality sheets, pillows, blankets and hypoallergenic down comforters. Ideal for families travelling with a child, this room features three single beds featuring high quality sheets, pillows, blankets and hypoallergenic down comforters. 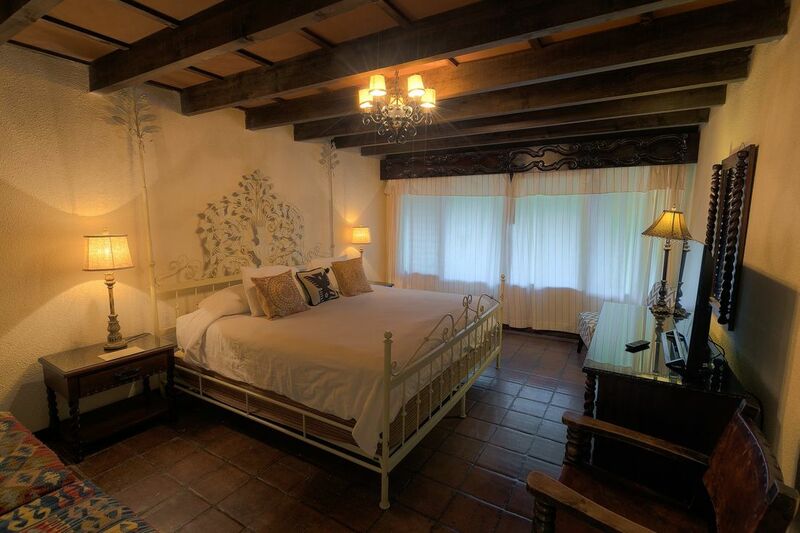 Guatemalan decorative details and private gardens are part of the beauty of these rooms. This spacious suite features one king size bed or two full size beds with high quality sheets, pillows, blankets and hypoallergenic down comforters, a fireplace and a living room prepared only for two persons. Located at strategic points of the hotel, this suite allows you to enjoy the peaceful surroundings and splendid views. Our finest and most spacious accommodation features one king bed with high quality sheets, pillows, blankets and hypoallergenic down comforters. This room is designed especially for couples, with a fireplace and a living room. A large terrace and quiet location allow you to relax and enjoy the panoramic view of the lake and our botanical gardens.